I loved reading this wisdom from a mom looking back over her last 20 years of mothering. This is a really sweet read for those of us with littles, especially in the beginning of a new year. I listen to just a few different podcasts, but Jamie Ivey’s “Happy Hour” is probably my favorite. 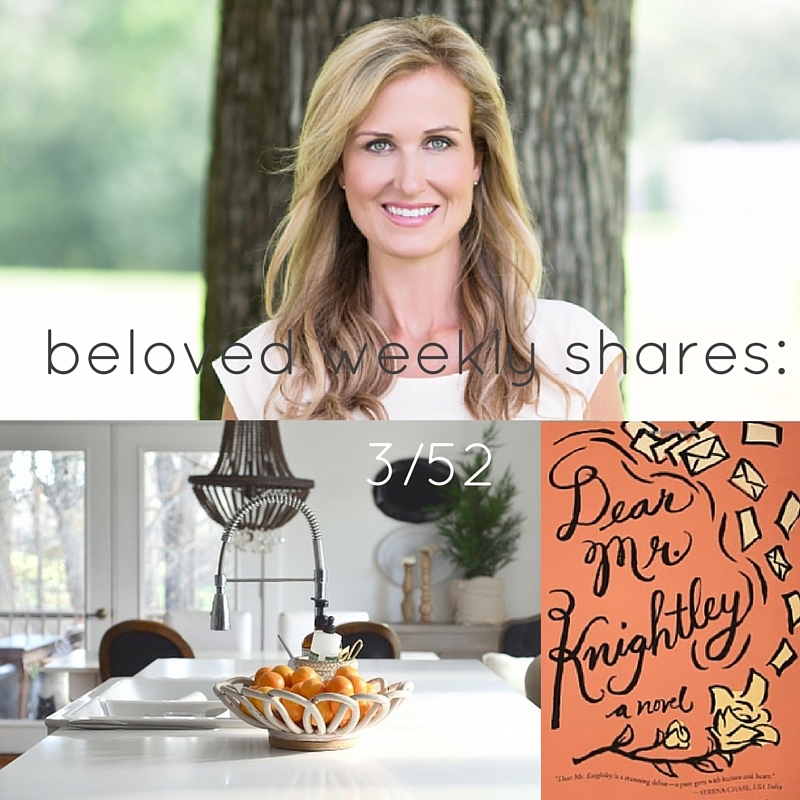 This past week she chatted with Korie Robertson and it was really interesting to hear from her. Two tips from The Nester to keeping your house tidy. Really smart. From a healthcare standpoint and as a mom, I found this article really intriguing. Aven was estimated at 7 1/2 lbs on her last ultrasound, and the next day was born at 9.4 lbs! (I am SO glad I was unaware of her size or it totally would have messed with my head!) I wish more doctors would remember that it’s only an ESTIMATE when discussing method of delivery with expecting moms. I have a goal to read 30 books this year and many of these book recommendations are on my To Read list. I’d love to hear any of your recent favorite reads. The Nester (my favorite home blog) has an amazing course in home design called The Cozy Minimalist where she covers all the basics and teaches you how to build a room step by step while using mostly what you already have. I loved going through this course, and registration is open again, but only for a few more days. hope everyone has a great week! I’m hoping to kick this sinus infection to the curb.